22 vehicles were shot at in metro Detroit between Tuesday and Thursday last week, though no one has been injured. In each incident, a man is shooting at vehicles driving in the opposite direction, said Warren Police Chief Clarence Goodlein. The Chief also said the shootings occurred in the late afternoon or evening. 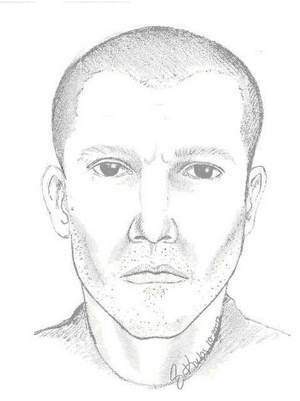 On Sunday, police released a sketch of the man they believe is responsible for the shootings. According to Fox 2 News, a witness described the gunman to Wixom police as a white man in his 20s or 30s. That witness also described the suspect’s car as a dark 1998 Oldsmobile Alero or a 1998 Toyota Camry. Previous calls to police described the vehicle as a dark Ford Mustang or Chevrolet Cavalier. The shootings began on Wixom Road on Tuesday and progressed through Oakland, Livingston and Ingham Counties. Shots were fired at motorists and a Wixom man as he took out the trash. Police have not found a pattern in the incidents. Local and state police agencies, including Michigan State Police, Wixom police and the Alcohol, Tobacco and Firearms Bureau, formed a task for Friday to investigate the shootings. Patrols have been increased in the areas of the incidents. Bouchard also noted that because of the random nature of these shootings, they are likely not the work of a sniper, since they typically use a rifle and aim for their targets. Schools in the Walled Lake Consolidated School District have been placed under partial lockdown, according to the Detroit News. School doors are now being locked and students are having recess indoors. Squad cars are also patrolling around the campuses in the morning when students are arriving and in the afternoon, when they are leaving. The shootings are reminiscent of the sniper shootings that occurred in the Washington, D.C., Virginia and Maryland areas 10 years ago this month in which 10 were killed and three were seriously injured. Anyone with information is being encouraged to contact the police or Crime Stoppers at (800) SPEAK-UP.